Technically, 時 and 時間 aren't counters—they're "units." As a part of our Japanese counters guide, we're covering 時 (じ) and 時間 (じかん). Technically, 時 and 時間 aren't counters—they're "units." But since they act basically the same as counters, we've grouped them the same way. 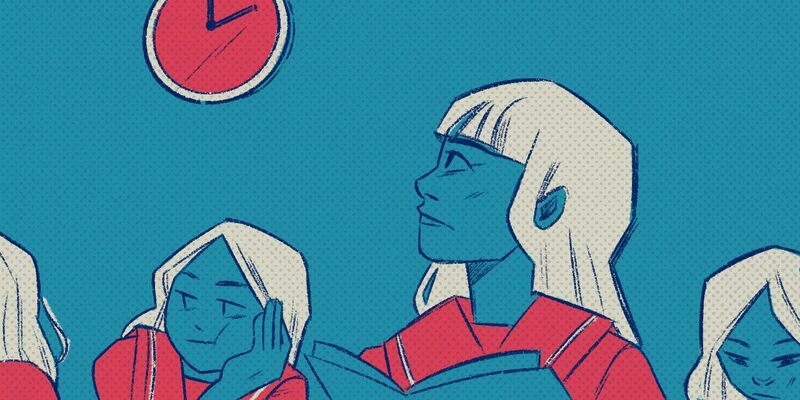 Note: before you study either 時 or 時間, we'd strongly suggest reading our guide on 分, which lays much of the groundwork you'll need to understand them. For our discussion, we'll start with 時 then follow with 時間. Once you've read the 分 guide, you're ready to get started. 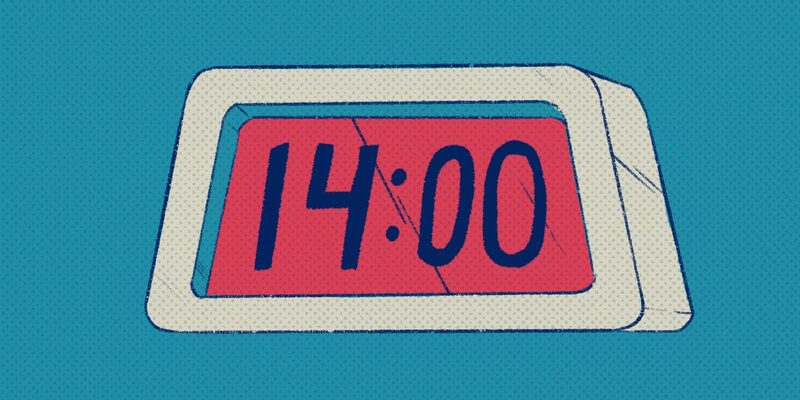 When used after a number, 時 means "o'clock"—it tells us the time at the top of the hour. (You'll need to read about 分 to learn about minutes.) Start by reviewing the counting pronunciation for 時 from the table below. As you can see, 時 pretty closely follows the counting pronunciation section of our Japanese counters guide. Still, there are a couple of exceptions: the number 4 becomes よ in 四時, and the number 7 can be read as なな to avoid confusion with 1 (いち vs しち). Otherwise, it's relatively straightforward. 時 is essentially the same as "o'clock" in English. Simple! Remember that Japanese people commonly use military time—1:00 in the afternoon, for example, would be written as １３時 in Japanese—which might be strange or perfectly normal for you, depending on where you're from. You can also use the words 午前 (ごぜん) for a.m. and 午後 (ごご) for p.m.; say them right before the hour. I will watch television at 4 a.m. I ate dinner at 12 p.m. 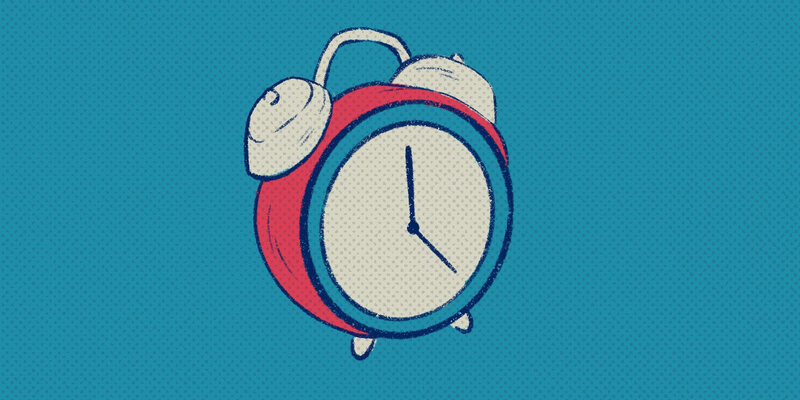 Instead of specifying a.m. or p.m., it's probably easier to use the military or 24-hour clock. I left the office at 3 p.m. today. Can I make a reservation for five people at 7 p.m.? 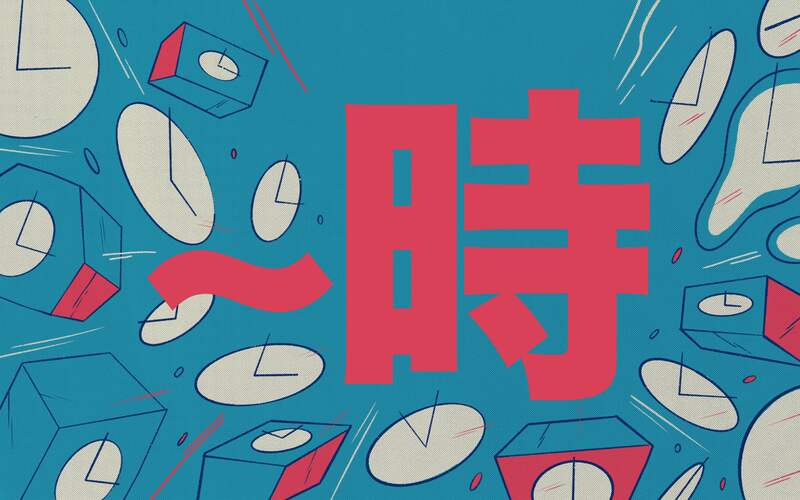 If you read our guide on 分, you'll know that you can add minutes to the hour. ９時 is 9:00, but 9:10 is ９時１０分. Our son was born at 4:20 p.m. It's already 3:33, you know! 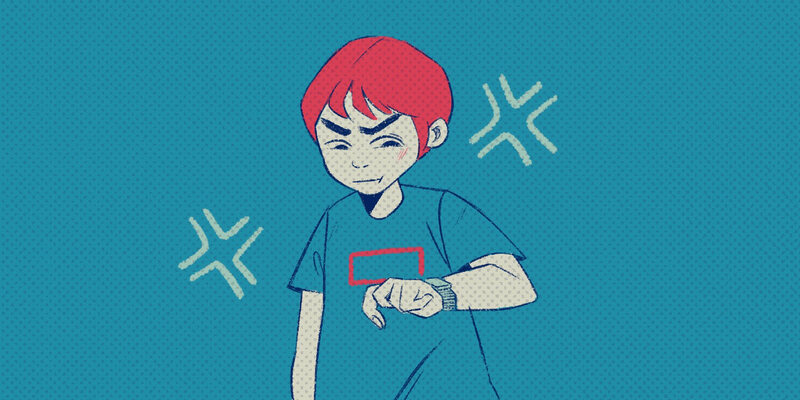 If you're talking about time and want to say "something-thirty," as in 4:30, it's easier to just say 半 (はん) instead of ３０分. 半 means "half," and by adding it to the hour, you're adding thirty minutes to it. ４時 is 4:00, but ４時半 is 4:30. It's much easier than saying or writing ４時３０分. We have a meeting at 11:30 a.m.
時間's primary meaning is "hours"—as in "twelve hours" or "twenty hours" or even "one hour." Although it sounds similar to 時, the word 時間 refers to an amount of time in hours. It might help to break down 時間 like this: 時 means "hour" or "o'clock" and 間 means "interval." When we use 時間, we're talking about a certain interval of time in hours. If someone mentions that a film is ３時間, for example, that means it's three hours long. Before we get into the details, take a little time to study the 時間 pronunciation list below. 時間's pronunciations are basically the same as 時's: 4 becomes よ, and 7 can be なな. Aside from that, it follows the rules from the chart in our Japanese counters guide. Let's learn about how to use 時間. 時間's primary meaning is "hours"—as in "twelve hours" or "twenty hours" or even "one hour." It indicates an interval of time that's measured in hours. Koichi sleeps for eight hours every day. But he could only sleep for four hours yesterday. From here it takes two and a half hours on foot to get to the strawberry farm. One day is twenty-four hours. About how many more hours do you think it will take? You can add other things to 時間—things that might be useful. Append 半, for example, and you add half an hour. ３時間半 means "for 3.5 hours." ５時間半 means "for 5.5 hours." It's going to take an hour and a half. If you're in school, 時間 can also be used to count the number of classes you have. Combine it with the ordinal number suffix 目 (め) to specify a class period. Today we have six classes. We have only three classes tomorrow. First period was Japanese class. That's it for our overview on the units 時 and 時間. Both are useful, so be sure to spend several hours studying them! 😀 We've mentioned it before, but make sure you read about 分 as well, because the lessons for 分, 時, and 時間 complement one another. When you've finished both, take some time (get it?) to learn about some other time-related counter-units like days (日), months (月), and years (年), to name a few. If you've done all that, be sure to check out some of the other "deep dives" we've done: 人, 冊, and 羽 are solid choices. And if this was your first counters experience, we suggest you read about the basics of Japanese counters, and then head on over to the big Japanese counters study list we put together, which also has links to every in-depth counters article we've written up to this point.